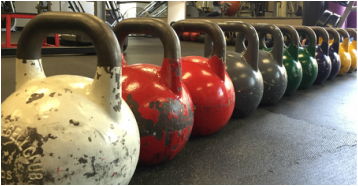 NOW OFFERING Gym Membership Gift Certificates! What a better way to say you care about someone than give the gift that supports their overall health and can use throughout the year. Ultimately, it's all about the qualify of life and creating the body you need to live to the fullest. Think of your body as your vehicle that will take you throughout your life's journey. It's not just the the longevity but the quality of life. 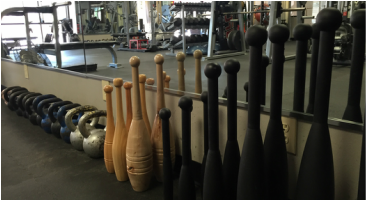 As you look for the right gym that meets your needs, I encourage you to think about more than equipment and sq. footage. Achieving results is more about setting up a program that is right for you. We are focused on helping you achieving your goals. "I have had memberships to many of the corporate gyms as well as tried my luck with different personal trainers. Dallas Workout The Gym was a breakthrough in achieving my fitness goals. I had issues with a torn rotator cuff in my shoulder. Bobby worked with me to moved past my injury and I'm stronger now in my 50's than I was in my 30's. If you're looking to make a real change in my your overall health, this is the place to go." What area of fitness are you looking for? When building strength and mass, form is everything. Injuries will hold you back from achieving your fitness goals. Let's get started with the right foundation. The "fountain of youth" is found in the gym. Building your core will not only increase your strength, but improve your quality of life and health. It doesn't matter where you are today. It's never to late to take control of your health and build strength & vitality. The key is to work with your body and respect the path that is right for you.